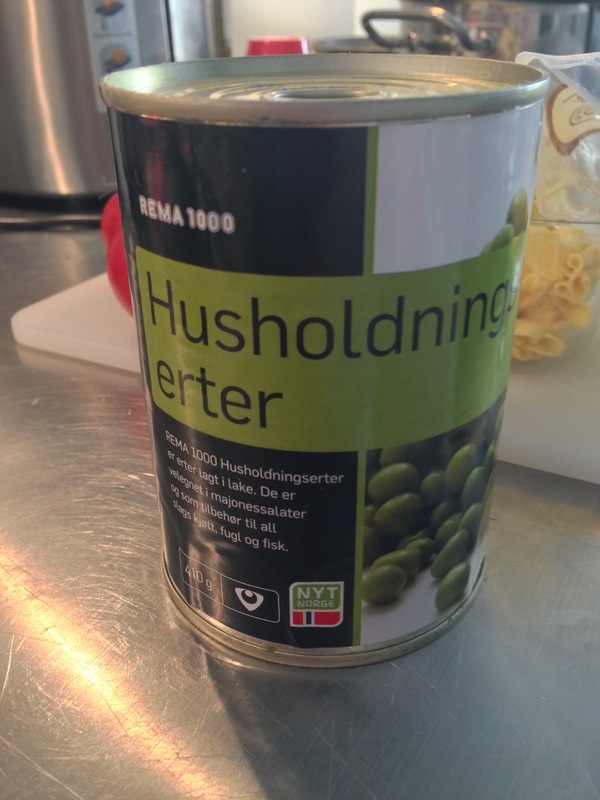 Limited to a home cook…. 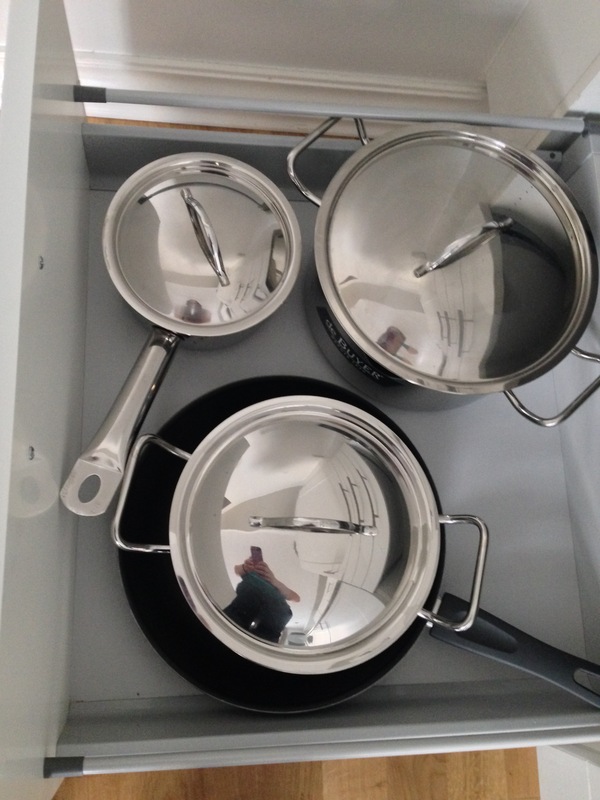 three stock/soup pots and a frying pan…. While I do have an oven, I do not have any dishes that are oven-safe. I also don’t want to go and buy more dishes when they should be arriving in late August. Needless to say, I need to get a little creative to shake it up for dinner. First of all, you need to get the water heating to a boil on the oven. Fill one soup pot with water about 2/3 and add a good deal of salt in. I’m sure you’ve heard this before but this is the only time you get to season your pasta – so make sure that water is a bit salty to taste. Once the water comes to a boil, add the sachettes and cook according to package instructions. 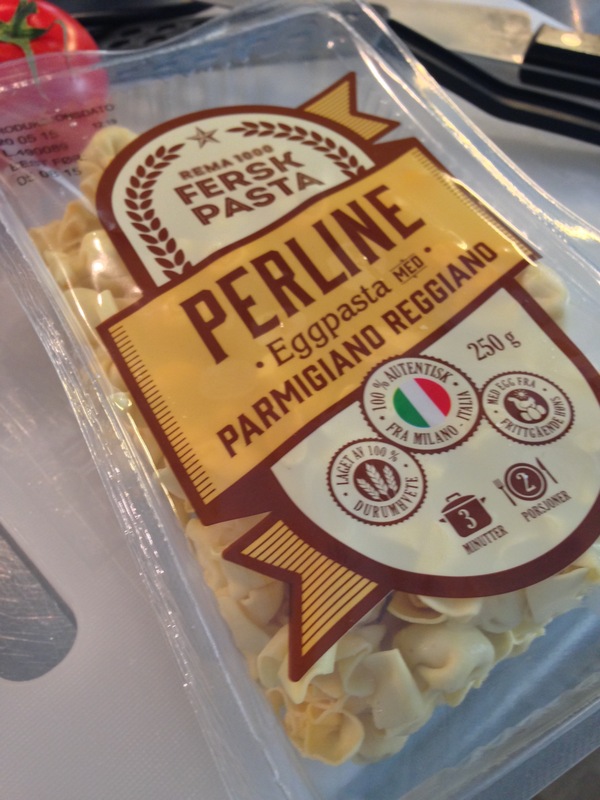 I recommend buying the fresh stuffed pasta rather than the frozen or dried. It cooks a lot faster and tastes much better. Next step, begin cutting the bacon into 1/2 inch (1-1.5 cm) pieces. Add to a fry pan and begin cooking. If the bacon is pretty lean, I recommend adding a little olive oil into the pan so it doesn’t stick or burn. Continue to cook the bacon on medium heat until it becomes slightly crisp. Toss for about 3 minutes and serve. Feel free to add shredded parmesan on top, if you like. 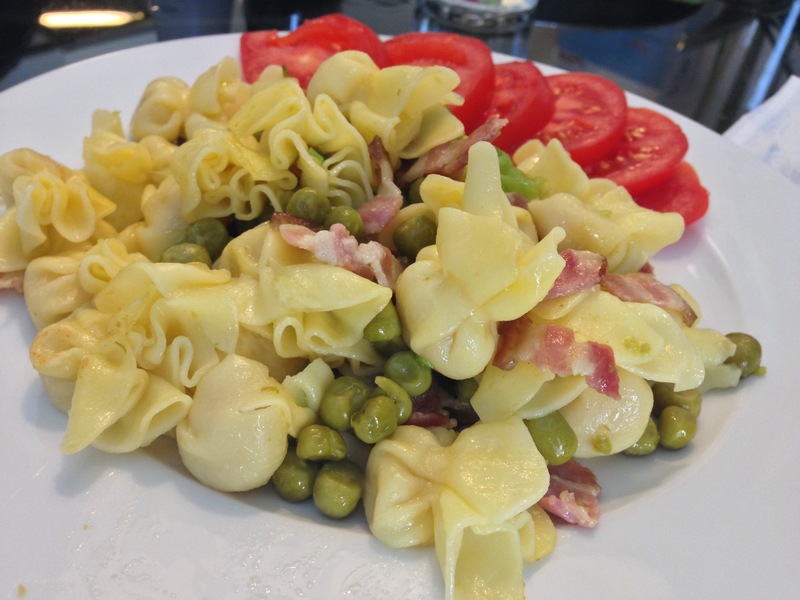 Enjoy 🙂 This dish offers a lot to the palate – salty bacon, crisp green onions and sweet peas with creamy cheese stuffed pasta. I served ours with sliced tomatoes! 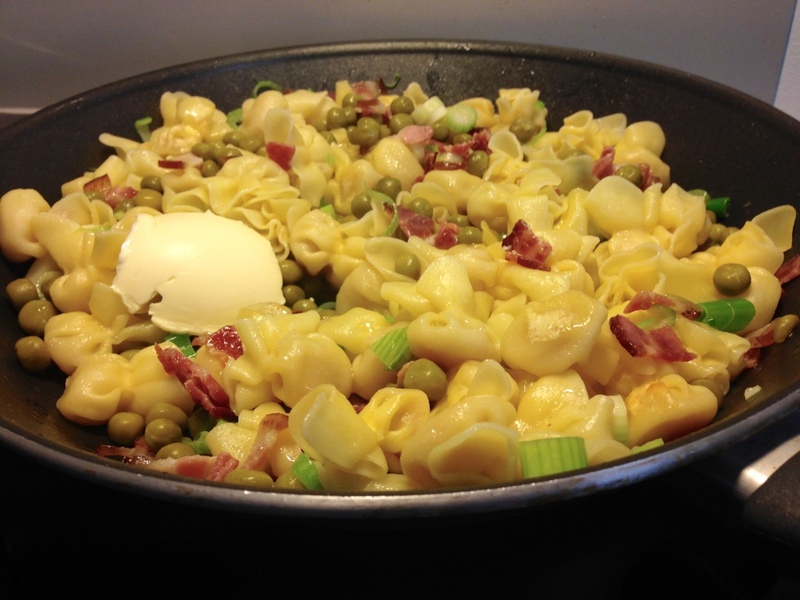 Lovely comfort food – away from home.